We present Japanese culture and Japanese martial arts on the Blog www.sinonome-japan.com. What to interest in Japan, Subscribe! 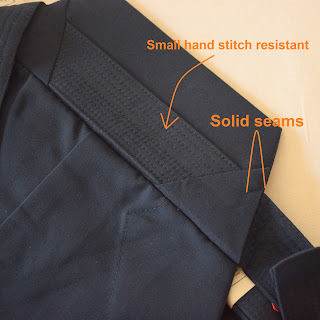 In Aikido JAPAN, practitioners wear Hakama on Dogi, but the wearing of Hakama is only allowed to male practitioners over 1 dan or female practitioners over 4th dan. (This may depend on instructor). As the others already explain, the wearing of Hakama is for the purpose of hiding the movements of the knees to the opponent. 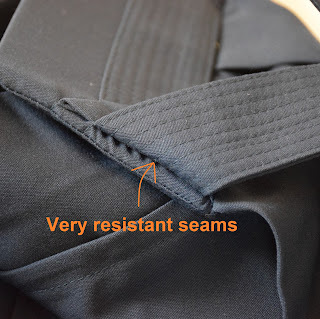 But during the Keiko (training), instructors cannot see knee movements because of Hakama. The use of the knees being very important in Aikido, novices must train without Hakama in order to have his movements checked. Once technics acquired, they are allowed to wear one. As it is difficult to move with a Hakama, there are schools that do not wear Hakama. There are slight differences between Hakama of Aikido, Kendo, Iaido and Kyudo (archery). And Hakama of Kimono (formal demonstration shows like Enbu) and Hakama of Budo are very different too. There are large dynamic movements (such as forward rotation) in Aikido and Judo, while most movements in the practice of Kendo, Iaido, and Kyudo are static. Hakama for each discipline is designed taking into account these differences. In Aikido, practitioners can be thrown to the ground, so Koshiita (the plaque inserted on the back) must be flexible. For Kendo, Iaido and Kyudo, practitioners remain standing and there is no risk of being thrown to the ground. So Koshiita is hard with a kind of spatula that is inserted into an Obi. 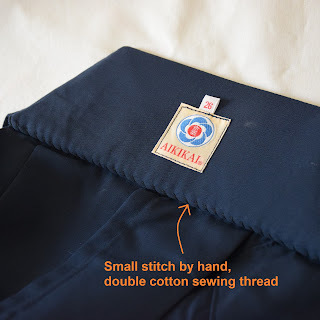 It prevents the deformation of Hakama. The bottom of Aikido Hakama is a bit narrower than those for Kendo, Iaido or Kyudo because its movements are wider and more dynamic. 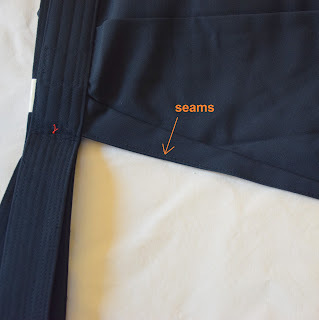 The front and rear lengths of Hakama are generally the same but it depends on the manufacturer. The men wear them at the hip level and the women a little lower down the waist. Some instructors ask to wear them at the hip. But for women, wearing at the hip can compress the stomach. This is why women should wear them slightly below the waist. As for the materials, there are synthetic fibers (Tetron), 100% cotton or blend of linen. Tetron is a registered trademark of the polyester fiber jointly developed by Toray and Teijin in 1958 in Japan. Toray is known in various fields. Saran Wrap is one of their products. This fiber that resembles nylon was named Tetron by taking the initials of these 2 companies Teijin and Toray. Highly resistant, it is used in various industries. There are different types of Tetron, those used in the industry such as sewing threads, car safety belts, fishing nets and ropes, or those used in sports apparel. So even if you see the "Tetron" display, it's not necessarily the same fabric. This is the assembly part of Koshiita and Hakama. It is reinforced in double stitching by hand and does not fray. The assembly of waist belts and Koshiita is strong and resistant. It does not tear even pulled with a force. 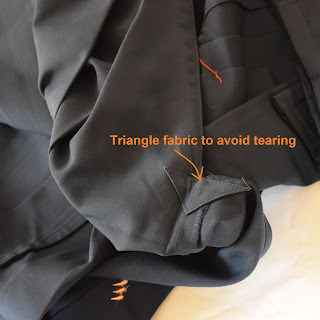 The slightly lower parts are also reinforced with triangular fabrics to avoid tearing of the front and back parts. The triangular part of the Koshiita plate has a tendency to detach. This part is sewn in a few centimeters by the machine in order to avoid this detachment. The around is also sewn with the tight stitches by hand. 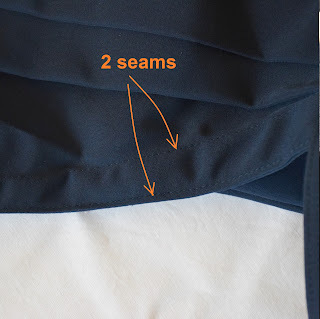 And there are 9 sewing lines on the back part that prevent deformation. Koshiita (plate) is in soft rubber which is suitable for Aikido. Koshiita being in rubber, it can melt at a high temperature. It is necessary to iron with a low temperature. 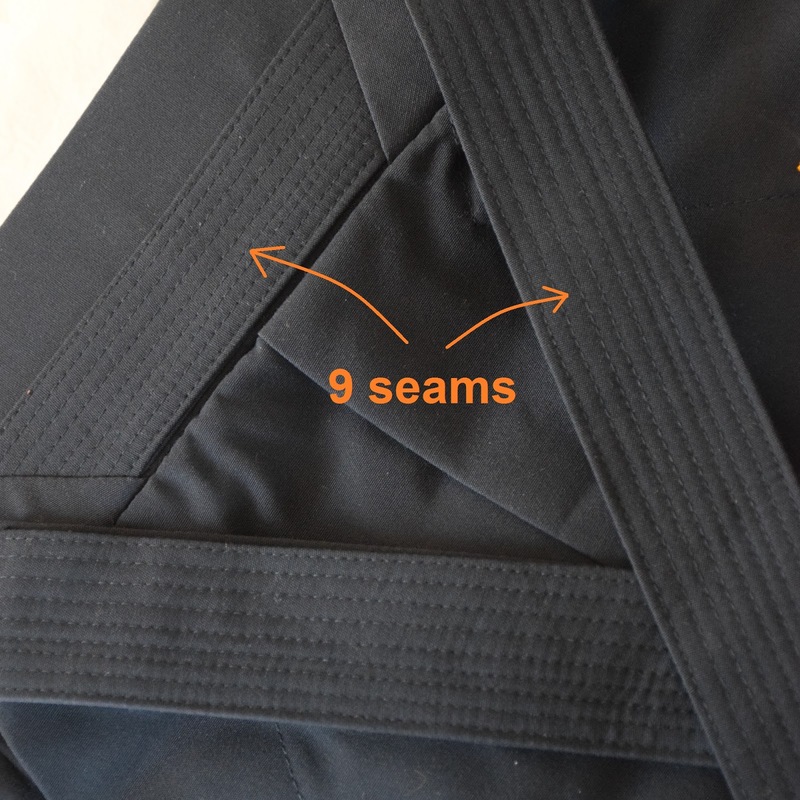 As for the folds, there is no seam because Hakama will become too hard and this is not suitable for Aikido movements. However, you can keep the folds clear without sewing thanks to Japanese pleating technologies. (It is necessary to fold carefully his Hakama after each use to keep the folds. (Click on this link to see how to fold his Hakama correctly). Aikido Hakama of the Fuji Daruma brand has received many compliments from Aikido practitioners in Japan. ANSHIN SHOKAI is continuing its efforts to improve the quality of its products. SINONOME-JAPAN . Simple theme. Powered by Blogger.